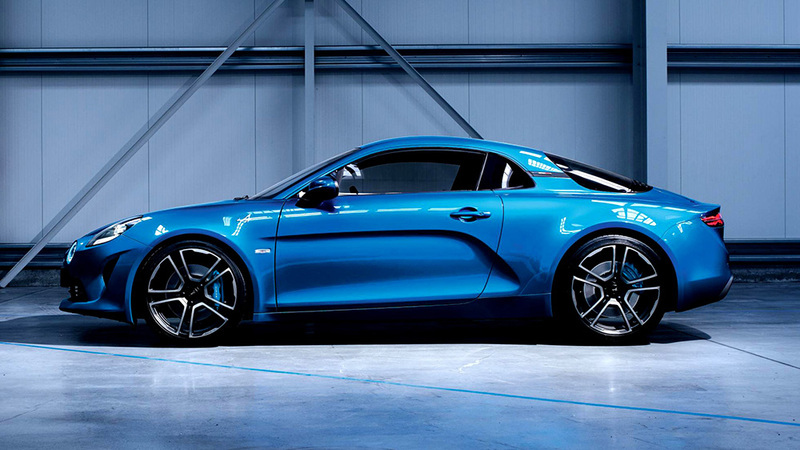 Good grief, this Alpine A110 is a pretty car. Alpine, that’s who. Any petrolhead worth their salt knows about Alpine (gorgeous French curves, rallying heritage, that 1-2-3 finish at the 1971 Monte Carlo Rally). In fact, just last week I mentioned that the new Alpine (codenamed “Vision”) was one of a handful of cars to watch out for in 2017. We all knew we’d probably see the production version at Geneva. 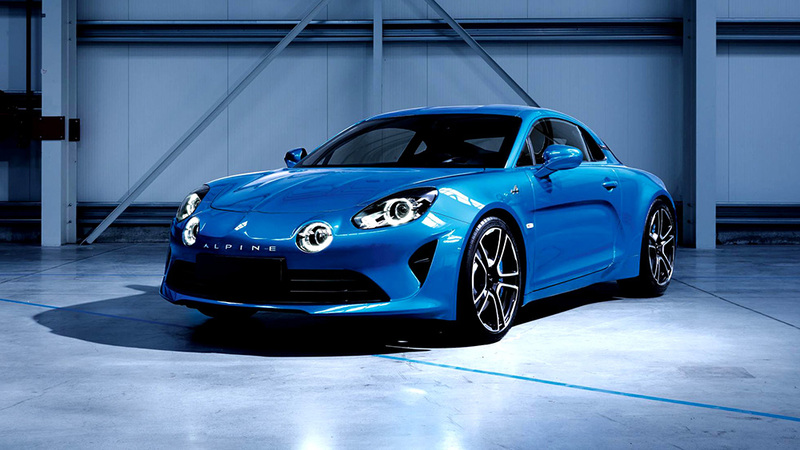 But Alpine have gone and surprised us all by releasing official images of the production ready car, and confirming it will resurrect the classic A110 badge. Solid details and specs will no doubt follow on next week, but expect 250-300bhp from a mid-engined turbo-four. Hook that up to rear-wheel drive and a low kerbweight (1100Kg has been mooted) and you’ll have a car that not only goes like a rocket (expect sub-5 seconds for the 0-62 charge) but should have the handle and poise to match. That side-slash… If it drives like it looks, the 718 is in trouble. Obviously, I’ll have to wait until I can get hands-on with the production model to confirm this, but it certainly has potential. Also, just look at the thing. It’s almost exactly the same as the concept, which is to say it’s a deeply, wonderfully pretty little car (and you absolutely must have it in that blue, naturally). Audi and Porsche should be worried. The French are coming. I am liking that new front grille. And the wheels. And the… Oh, let’s face it, I like all of it. 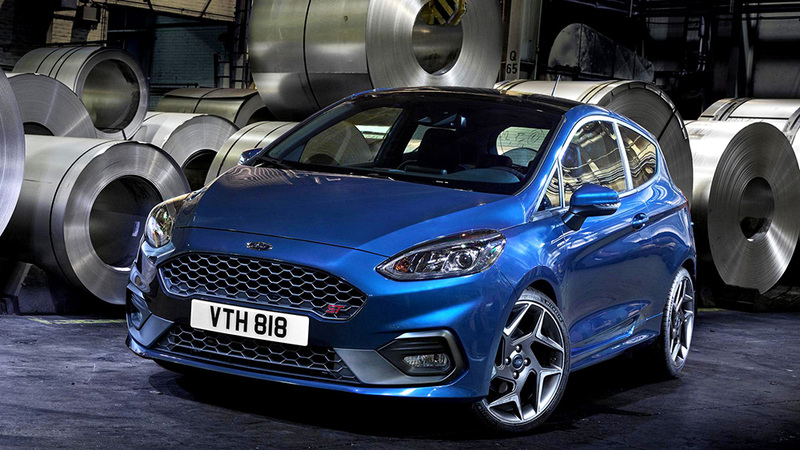 Next, at the end of last week, Ford confirmed the worst kept secret in the history of badly-kept secrets: that a new Fiesta ST was coming our way and that it’s powered by a turbocharged triple. Now, there was pretty much nothing wrong with the previous (current?) generation Fiesta ST. Okay, so the plastics and interior are showing their age. And the ride is on the firmer side of firm (but then, it is a hot hatch). Other than that it’s a sublime little rocket. Just the right amount of power and mesmeric handling. Proper lightning in a bottle stuff. So Ford have, perhaps controversially, decided to mess with a winning formula. Usually, I’d counsel against such a move as the ST is so close to being the perfect hot-hatch that a significant change could be disastrous. Rather cleverly, however, Ford have decided to address one of the few things that you could reasonably moan about with the current ST: the engine. Yes, the current model’s 1.6 litre turbo is a strong, boosty little thing. But like all turbo-fours, it’s not exactly aurally pleasing or full of character. Pert. And I do think those rear lights are better resolved now. Ford’s solution? Lop off a cylinder. Or two, should you be cruising. Yes, what we have here is a develpment of Ford’s EcoBoost triple. This time a 1.5 litre with cylinder deactivation tech, allowing it to cruise on two cylinders on light throttle. Although capacity is down, power is up for the standard model to 197bhp/214 lb-ft (I’m sure a Mountune upgrade will again be available too), giving it a 0-62 time of 6.7 seconds. More than enough for the b-roads that are the ST’s natural hunting grounds. There’s no word on pricing yet. Expect slight increases, but nothing that robs the ST of it’s “performance bargain of the century” status. I have slight reservations over the introduction of driving modes (Normal, Sport and Track) as I never have seen the point of these in anything other than fire-breathing supercars. 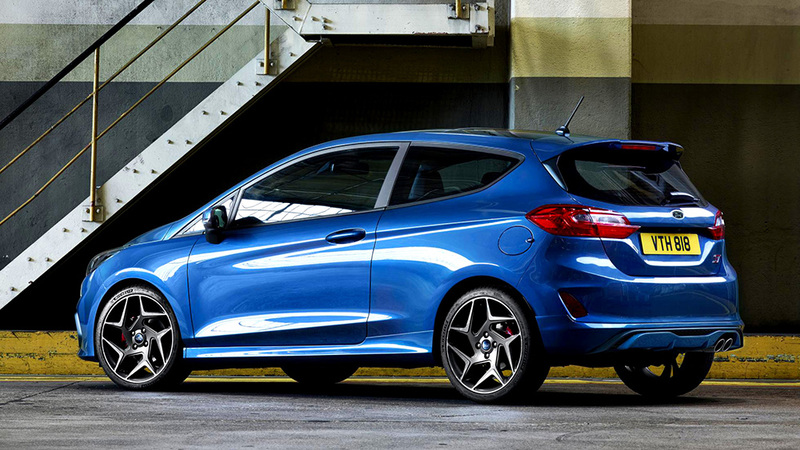 Ford have also announced a five-door version this time, which is great news for hot-hatch fans that have spawned. Still, the previous/current Fiesta ST is an absolute gem of a vehicle – if the new one can improve on its predecessor even by a tiny margin, it’ll be a genuine marvel. From the Imaninarium of Doctor Parnassus, or somesuch. Peugeot have started making some great cars again (FINALLY). 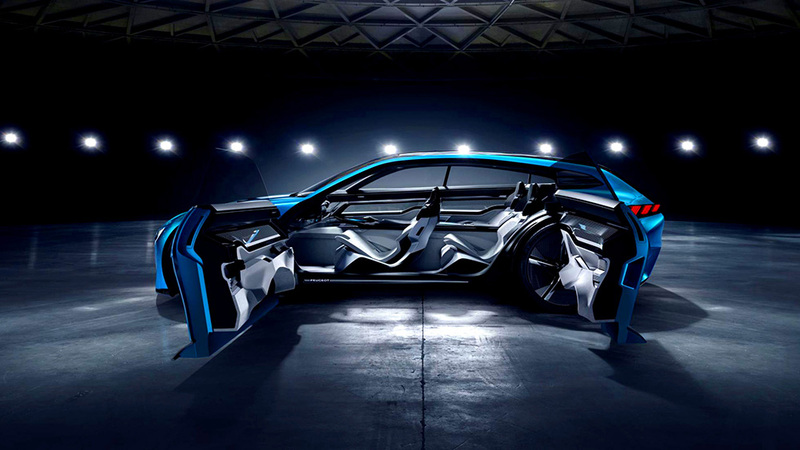 However, one thing hasn’t changed and that’s the fact that they make stunning concept cars and then never build them. Or build something that’s “inspired” by the concept but, in reality, bears no relation to it. These doors are fantastic. Utterly impractical, but fantastic. 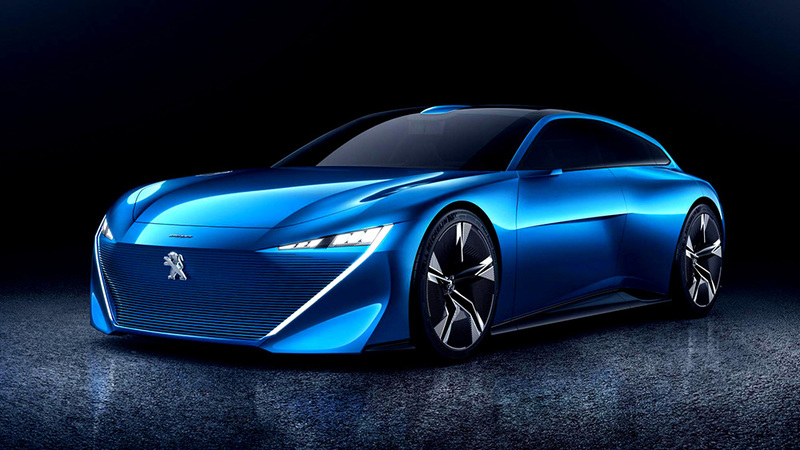 The car you’re looking at is the Peugeot Instinct. A fabulous looking shooting-brake concept (and we all know how I love a shooting-brake) running an oh-so-contemporary 300bhp hybrid powertrain and a raft of concept car touches that will never see production. For instance, those amazing pillar-less barn-style doors. Which I love. Peugeot make all kinds of claims (autonomous this, low running costs that, driving modes blah), but it’s not worth paying any attention to them because, let’s face it, they’ll never build the thing. It is mighty pretty though. Darn it, Peugeot.